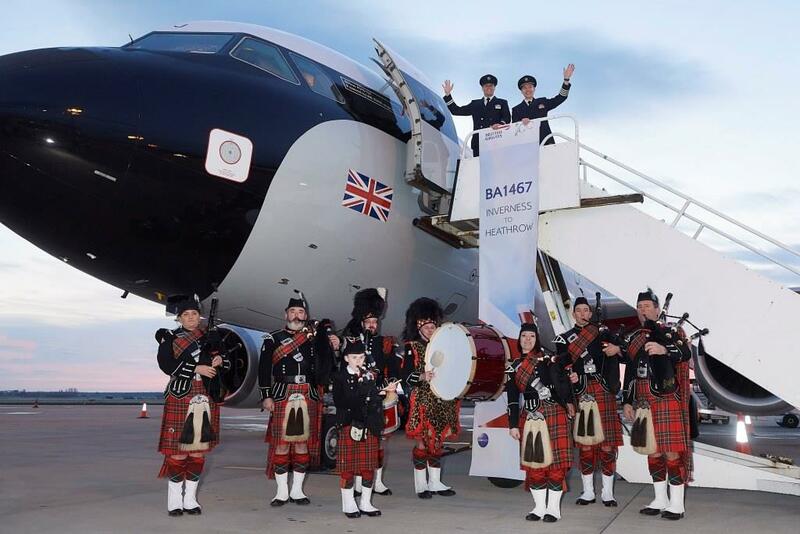 Inverness Royal British Legion Pipe Band piped passengers on board the first early morning BA Inverness - Heathrow flight this week marking both the band and British Airways centenary years. Photo courtesy British Airways - Highlands and Islands Airports Limited - Ewen Weatherspoon. Highland Council Leaders have welcomed the introduction of a new Inverness – London Heathrow service this week by British Airways which will allow people to travel between the two cities and return the same day.